All throughout the OLPC debate, Intel has been cast as the bad guy, the dark force of Microsoft propagation hell-bent on destroying the forces of good, of education, of Nicholas Negroponte's One Laptop Per Child vision. Partly because Intel was an early OLPC critic and also partly because the Classmate PC ran Microsoft Windows. The rhetoric got so hot that at one point, I was even accused of being an Intel agent, because I wasn't a 100% OLPC XO fanboy and pointed out where I think Intel has a better implantation plan. While there still are people who viscerally despise any part of the dying WinTel duopoly, might the recent announcement of Mandriva Linux 2007 pre-installed Intel's Classmate PC be a good sign for educational systems in the developing world? 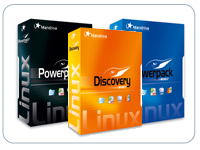 Mandriva, a France-based Linux distributor, spent eight months customizing its operating system for the Classmate, and adapting education applications specially developed for Intel's World Ahead program. In addition, these Linux-based Classmates will be produced in Brazil, part of Intel's local laptop assembly manufacturing plan, for delivery to Brazil, Mexico, India, and other assorted developing countries. This seems to be a much better system for Western school kids (and geeks). A 900mhz ULV intel opposed to a 350mhz AMD Geode will be a huge huge difference. Also key is the fact it's using a real life OS, either XP or this linux distro. The OLPC uses a highly customised OS which bears little resemblance in terms of usage to anything else and despite being OSS, doesn't have a great deal of compatibility from what the devs are saying. Interesting. No matter the computer specs, Intel' World Ahead program, with its pro-teacher implementations will be better accepted in developed countries. While, right or wrong, OLPC will not be in USA schools anytime soon. Considering Mandriva has attempted to make inroads into certain African nations recently, and remembering that they still have the easiest to install and maintain system out there for the average Linux rookie, I would think a gang of Linux geeks (such as is the norm on /.) would be speculating as to the future goals of our favourite french distro. Or better yet, let's discuss what the effect of a Linux OS on both computers targeting students in the developing world means to their education and our Open Source Software efforts. Might this be the first step to OLPC's Sugar on Intel's Classmate PC? Is there anything Proprietary in Sugar that would prevent it from running on the Classmate PC? Would love to see pics of it running Sugar! Anyone??? You are not the only one who would love to see Sugar on the Classmate PC. I too would like to see such a combination. In fact, I would really love to see the OLPC & Intel platforms (hardware & software) merge into one great jaw-dropping hot computer. Then we can remove the AMD vs. Intel or Linx vs. MSFT clutter from the conversation and really focus on the education part of the "its a education project not a laptop project" storyline. The typical 300MHz AMD processor will outperform an Intel processor of the same clock speed and the AMD draws less power. I doubt the Classmate will perform significantly better than the XO. The XO is designed to be lean and green. At what point do you just stick a Pentium M 1.7GHz in a laptop and call it a kids computer? The XO is cheaper than the Classmate and has a better screen (not that I've seen either of them). The XO also still has a lot of development left plus with open source is likely to be around a lot longer. The Mandriva version for Classmate is also highly optomised. I cant see any advantage in the Classmate apart from Brazil making money from poor countries. Good way to mask the fact that Classmate parts will still come from Asia anyway. Brazil content is likely to be less than 10% of the total cost - which is 20% higher than the XO. When you say a typical AMD will outperform an Intel, you have to be careful. An AMD Athlon MHz for MHz will outperform a Pentium 4. No AMD chip today can outperform a Core 2...but we are not talking typical, we are talking special. So, I have to disagree. When you compare a Geode, and not the Geode NX, a plain old Geode - the one in XO - to an ultra low voltage (ULV) mobile celeron, your statement doesn't hold true. I have seen both OLPC (before the minor CPU upgrade) and Classmate PC running and I have to say the Classmate PC was much zippier (the classmate can run full screen streaming video). In addition, while the power envelope for the Geode is less than the Intel, both are low and green. Also I am not sure I understand your comment about sticking a 1.7GHz Celeron into a laptop...the classmate PC is not just a cheap laptop, but was designed specifically for kids and education (works together WITH the teacher also - something the XO does not do). So, what did you mean? Cheaper - yes, but not by much. I have heard that the classmate will be at ~$200 by end of this year. Also, the classmate HAS a service and support model, a better education model (includes the teacher in the equation) and can be bought in quantities less than a million units...what's not to love? Dont get me wrong - are there things to love about the XO - yes. The display is awesome - but why the big negative slam on Classmate? Is there only room for one solution in this space? And I totally dont understand your last comment...can you clarify? Hi OLPC Skeptic (dont be afraid to use your real name - I do). I guess some qualification is in order. My experience of over 30 years in micro design and the benchmark results from cpubenchmark.net/low_end_cpus.html were what I based my comments on. I think the AMD Geode was the smart choice for the XO, both in power consumption and performance. My comment regarding 1.7GHz Celerons refers to the thought that if you want to get better performnce just keep putting faster devices in computers. But then thats not the point of the XO laptop. Its about cost, power and ruggedness (although apparently the Classmate has been made tough). I'm not sure how you figure the Classmate has a better service/support/education model. From my reading of different sites the classmate is only in early tests with no results of usage. So where does 'better' come from? And my last comment (am I that hard to understand?) is regarding the building of Classmate laptops in Brazil. This is an obvious tactic by Intel to get Brazil locked into the Classmate format. Brazil see monetary advantages in choosing the Intel option. Before Brazil sidetracks either of you from your stimulating Classmate vs. OLPC debate, be aware that OLPC promised 10,000 One Server Per Schools now, and all school servers later. So both Intel and OLPC are dangling hardware buys to Brazil to entice its participation. The best deal - Brazil playing off both for 100% hardware production, the beginning of local Open Source Software & Hardware production. No Wayan, you were not accused of being an Intel agent for criticising the project. You were accused of that because you are the Director of Geekcorps WHICH HAS INTEL AS ITS TECHNOLOGY PARTNER!!! Oh My God! Really? Geekcorps, a nonprofit which tries to stimulate development using technology works with major IT companies to show them how to invest in the developing world? Oh the horror! Or, my dear ..., the reality: Geekcorps works with _ANY_ IT company willing to think outside the box, be they D-Link, HP, VIA Technologies, Cisco, SEPG, Intel, and yes, even Microsoft. And we're influencing them to be more emerging market sensitive and aware, changing them, not them changing us. But of course reading the full Geekcorps website http://www.geekcorps.org would destroy your fragile conspiracy theories based on one small reference. So, please, continue to think that this site is too impressive, informative, and influential to be built by a loose association of writers and commenters. And that is the enduring proof that I am in the blogging big leagues and you are not. Does this mean the Classmate is not running Windows by default anymore? The way I understood it, MS was willing to donate Windows for the OLPC for free but where declined in favor of open source, I would have though the classmate on the other hand would have continued using Windows since they where fairly friendly at the start. Any idea why the classmate switched to Mandrake? Or is the classmate considered a commercial project meaning the MS wouldn't donate Windows to Intel. Or are they now wanting to get in on the freedom side of thing too. Maybe MS are looking to sell copies of Windows for the classmate in future. I think Intel was responding to market pressures. Brazil is adamantly Open Source and there is a thriving Open Source educational software market that has a firm stance against Microsoft. Last but not least, when you start getting into the volumes of Classmate, Microsoft starts to charge for Windows, and even a $20 per laptop price change adds up to millions of dollars. "The Linux based Classmates will be available in any market," Kwan said. "But the choice between Windows and Linux will be up to the school that's purchasing the systems." But seriously... besides any like or dislike of the XO, the Classmate approach, apparently, is less centered on one specific understanding of education, and that makes it more flexible than the OLPC. More expensive, probably; less capable in terms of computing, perhaps, depending of the intended usage, apps, and a long list of ifs... but being less committed to one and only one way of implementing and using the computer is a potential advantage. At least, that's what Chile has decided, and they a well-run, national educational system that is locally managed they like to develop carefully. Is there only room for one solution in this space? I think that having competition in this space will at least encourage all of the potential solutions to pony up some stats. They're competing with textbooks for cost, so it's already a race to cost minimization -- if we can get them to compete on features and follow-through, everyone wins! Price: They are already selling Classmates in Chile, directly to the Schools. Unit price: 425 dollars. BUT: they are also challenging OLPC with the 1 million number. In Argentina, INTEL offered a selling price of 200 dollars per million Classmate plus the possibility to get the machines manufactured in that country. That price is not far away from the $150-170 for the OLPC. Linux: Yes, you can order (if you are a school owner, such as the municipality) all your classmates with Linux. The selling price is not very different to the windows version, because Microsoft -at least we were told so, sold the windows licences at a very low price. Not sure what they meant by that, but apparently it's around ten dollars (I'm trying to get this info). Hardware: this is an unfair comparison because I have the B2 test (not the more robust forthcoming B3). Plus, in the b2 many features run really slow simply because, well, it's a prototype! However, the performance of the classmate running win xp we tried in Santiago de Chile some weeks ago is frankly impressive, particularly when we run things like youtube videos. Do poor kids need more powerful machines? Well, the question should be do your son or nephew need one? Of course they do. And in fact, that's why OLPC is making this huge hardware upgrading, making both machines almost identical in terms of performance. Software: With the new upgrading, the XO can run the software for Classmate, which is also truth the other way around. Yet, (and see below), the educational models differ: classmate's gives more control to teachers, while OLPC´s gives more freedom to students. Bottom line: I truly believe that there's market for both machines. For example: the OLPC seems to me more powerful in the hands of younger children in rural schools. On the other hand, the classmate seems a bit more Ok for middle size or big cities, (with more stable electric supply), and perhaps more grown up kids. However, in an ideal world, I´d be rather happy if by next year any latin american country can have most of their public (underprivileged) schools with 'mobile laptop labs' (at least 30 or 40 per school) with OLPC and CLASSMATES. The dream of ONE COMPUTER PER CHILD can still take some 5 to 5 years in most of our countries, but we need to start moving in that direction right now. Here we have two good alternatives.